Harlem, NEW YORK—Critically acclaimed architect David Adjaye, who designed the Smithsonian National Museum of African American History and Culture which is scheduled to open next year, has brought his celebrated minimalist aesthetic to Harlem. Adjaye designed an $87 million mixed-used affordable housing complex on West 155th Street and St. Nicholas in Sugar Hill. Developed by Broadway Housing Communities, the 13-story building, includes 124 apartments, an early childhood center and a children’s museum. Born in Tanzania, the London-based architect’s firm Adjaye Associates has designed major art centers, civic institutions, retail and residential projects in Asia, Africa, Europe, the Middle East and North America. Commissions have included the Nobel Peace Center in Oslo, the Museum of Contemporary Art in Denver, Idea stores in London and libraries in Washington, D.C.
For Adjaye, time devoted to important public projects has been balanced by opportunities to work closely with like-minded artists and designers. The architect has designed gallery exhibitions for Richard Avedon and Chris Ofili. Photographer Lorna Simpson’s four-story studio in Brooklyn was his first U.S. project, and he designed fashion label Roksanda Ilincic’s recently opened shop in London. 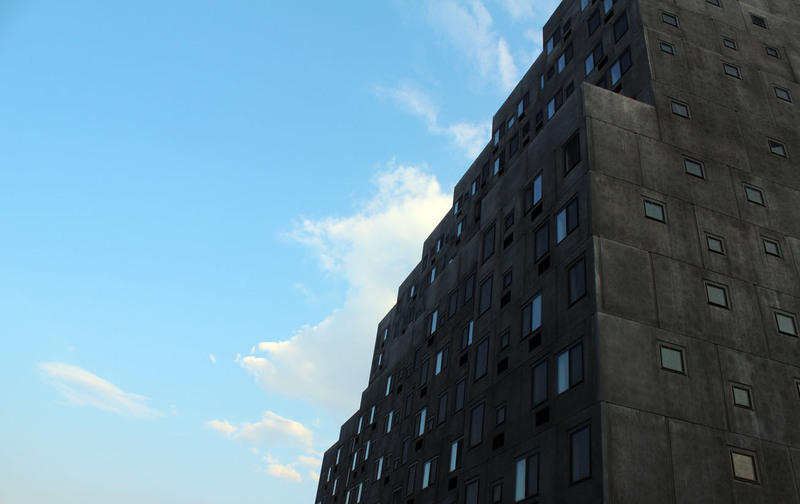 Detail of the 13-story, mixed-use residential and community building architect David Adjaye designed in Sugar Hill. Adjaye’s Sugar Hill design is defined by a dark charcoal tinted precast concrete facade punctuated with windows that serve as ornaments to the exterior and flood the interior spaces with geometric bursts of light. The architect and BHC worked with the local community through meetings and workshops to create a building that meets the needs of the neighborhood. Given the significance of the building’s design, its cultural impact and contribution to the community, it is fitting that before it is occupied by new residents the space is housing an art exhibition. Detail of “Pensive,” 2013 (bronze, rough-sawn fir logs) by Radcliff Bailey, depicts W.E.B. 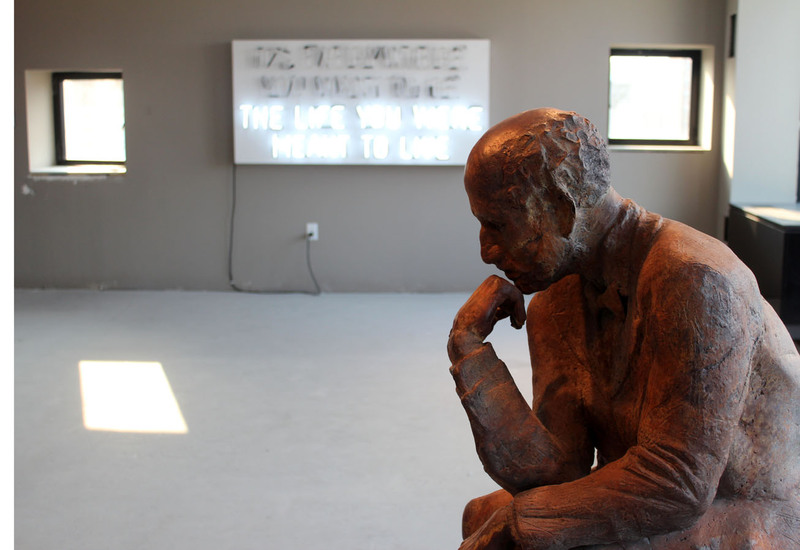 Du Bois in a pose similar to Rodin’s “The Thinker,” with “Caesar’s Visa” by Hank Willis Thomas, in the background. The light coming in the window forming a rectangle on the floor shows how Adjaye’s design creates artful light patterns in the interiors. 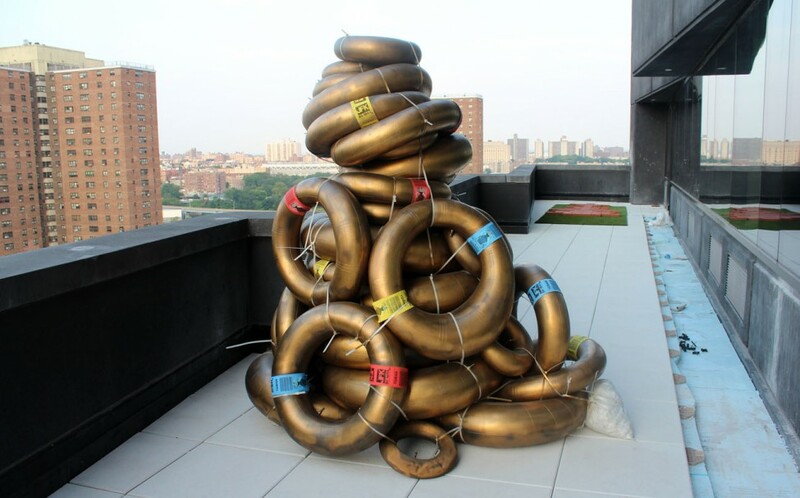 “If You Build It,” a site-specific art project presented by No Longer Empty in collaboration with BHC, includes contributions from 22 emerging and established artists, Nari Ward, Radcliffe Bailey and Hank Willis Thomas, among them, as well as arts organizations such as the Sugar Hill Culture Club and Dominican York Proyecto Grafica. 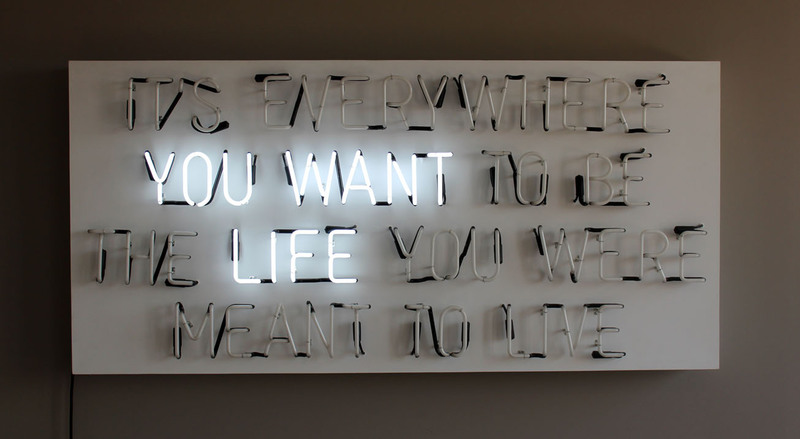 The works in the exhibition explore “ideas of home, building community, migration and aspirations, racial profiling, salons featuring jazz, rap, beat and spoken word,” among other subjects. Installed on two floors of the building, the work is presented in common areas, outdoor spaces and in apartment units. 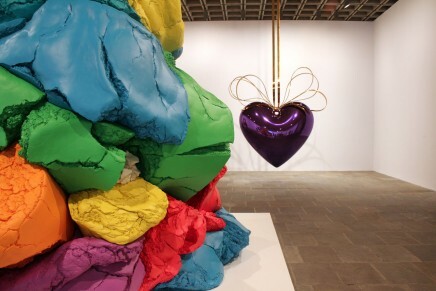 Open Thursday through Sunday, the exhibition has been rife with public programs and artist talks. “If You BUild It” opened on June 26 and closes tomorrow, Sunday, Aug. 10. 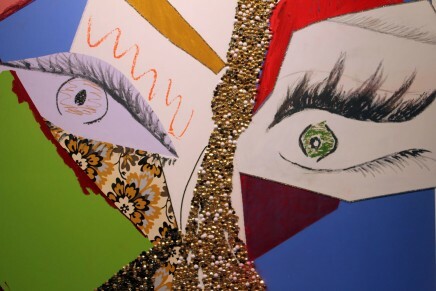 Detail of “The Crown,” 2014 (video installation, construction paper, paint, red carpet) by Shani Peters. 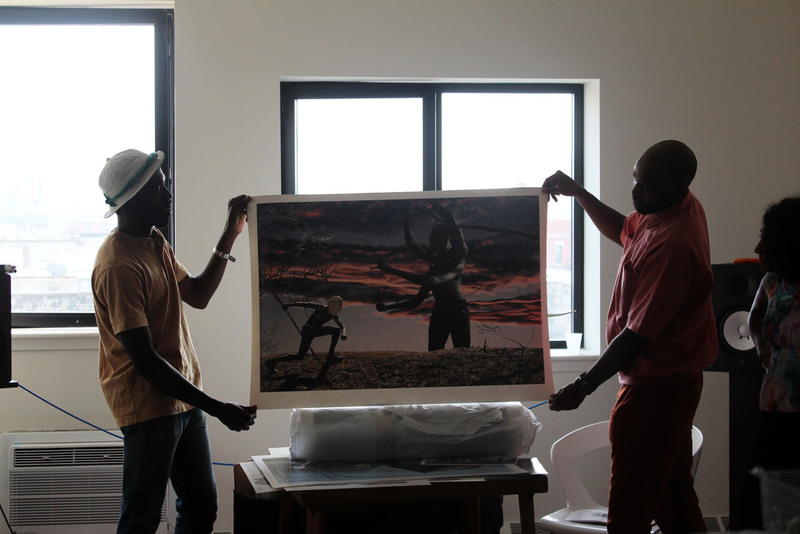 Photographer Ivan Forde, left, discusses his work during an evening artist talk. 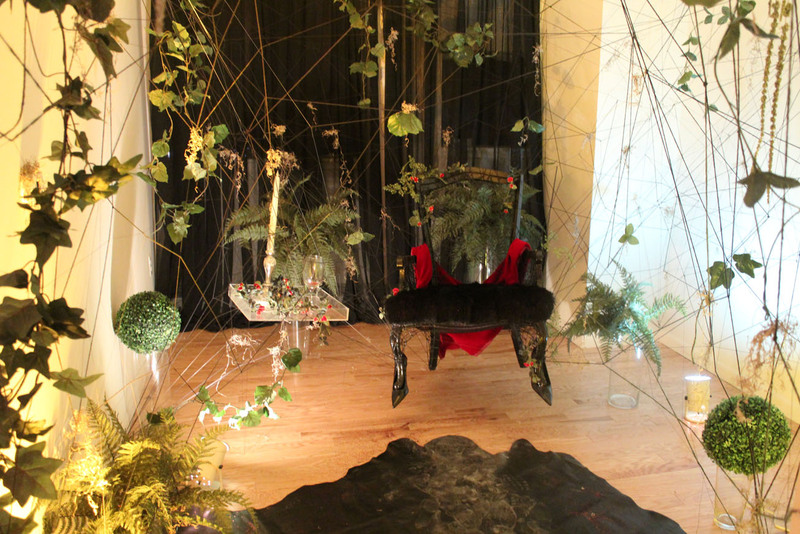 “The Confident Window,” 2014 (hemp twine, reclaimed objects and furniture, moss, bear fur, leather, faux floral) by Christopher Trujillo. 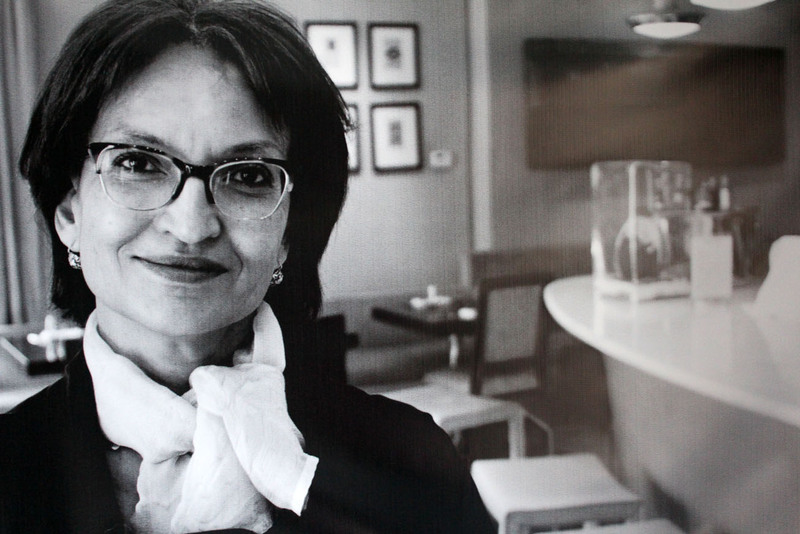 Leah Abrahan of Settepani restaurant in Harlem. Image is from the series “Harlem Contemporary,” 2014 (photographs, audio installation) by Bayete Ross Smith, which chronicles Harlem figures. 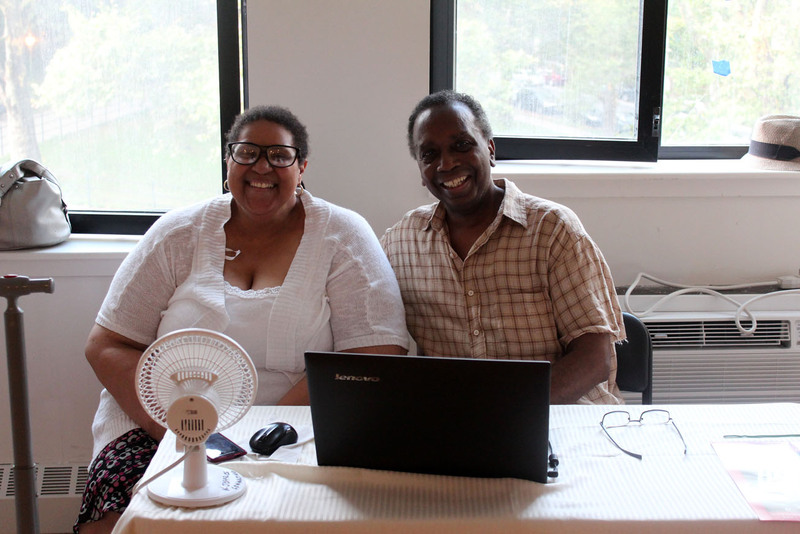 From left, artists Katrina D. Jeffries and Cecil William Lee, are exhibiting their work in the same apartment space. 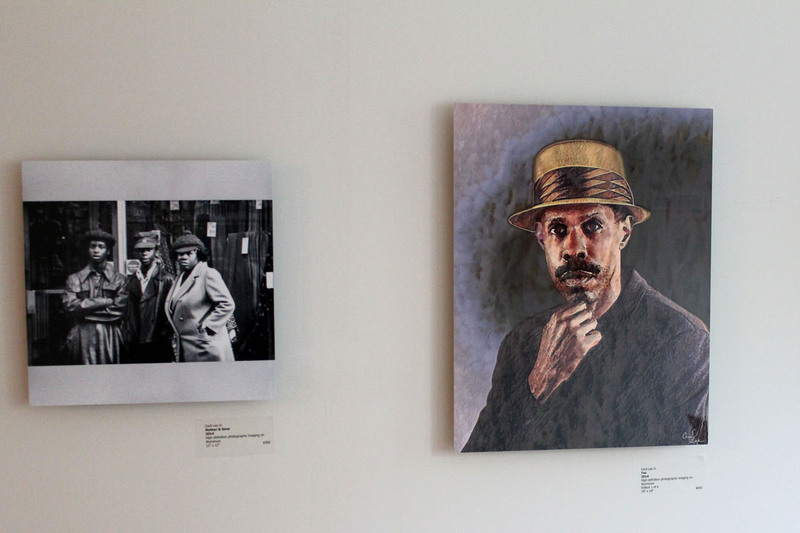 From left, “Mother and Sons,” 2014 (vintage image printed from the photographers archive) and “Tee,” 2014 (both high-definition photographic imaging on aluminum) by Cecil William Lee. 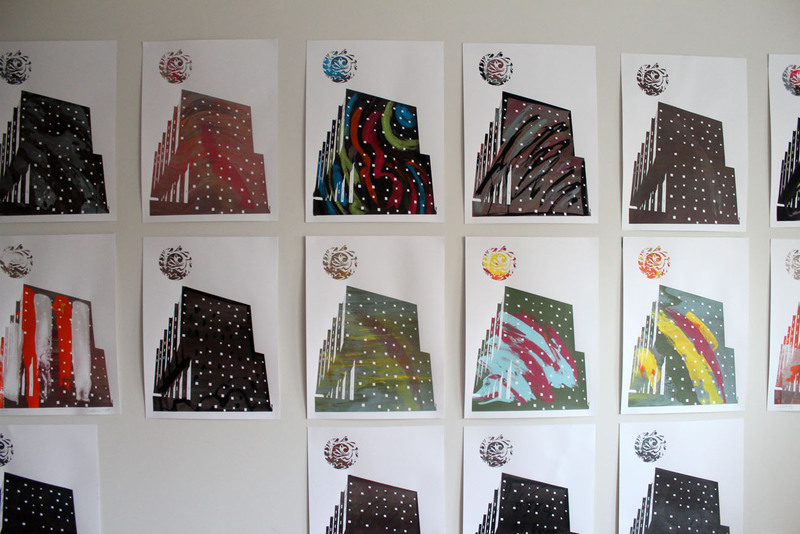 Prints depicting the Adjaye designed building produced by Dominican York Proyecto Grafica. 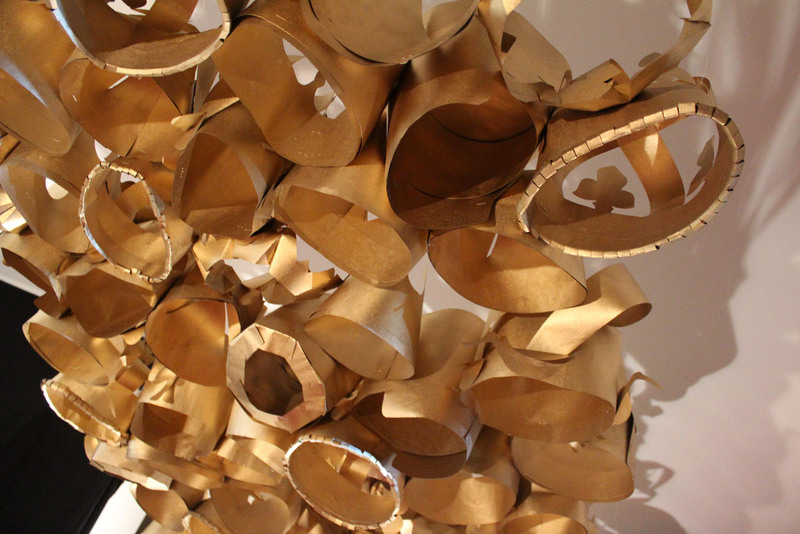 Detail of “Cathedral/Catedral,” 2014 (inflated inner tubes, gold paint, Milagros, safety ties) by Scherezade Garcia. 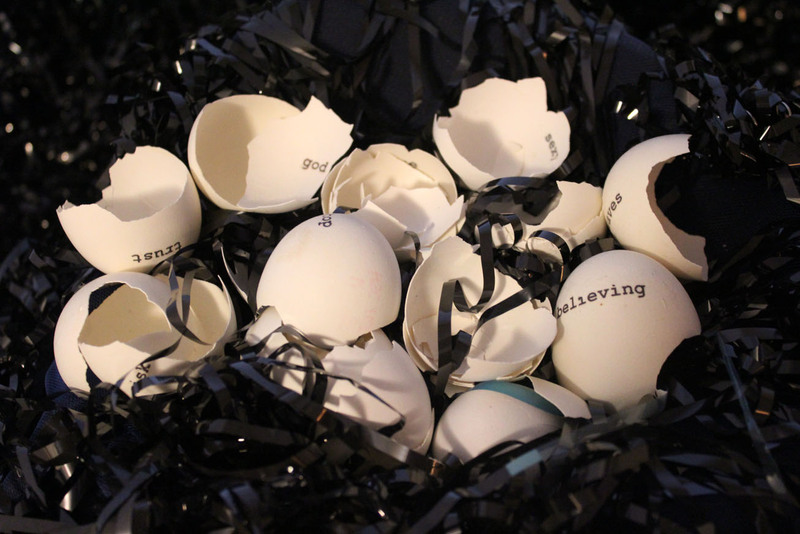 The work is meant to resemble an alter to immigrants and their inspirations. 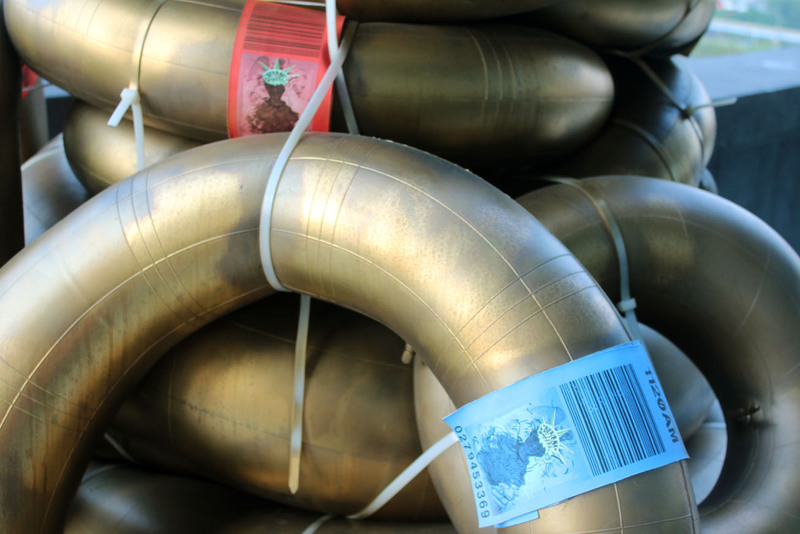 The “tags” are Milagros prayer cards featuring a brown-skin Statue of Liberty. The reverse looks like airport ID tags for suitcases. 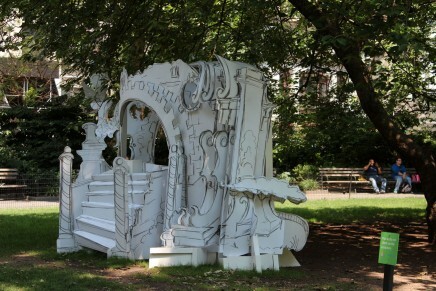 An installation view of the sculpture is shown at top of page. 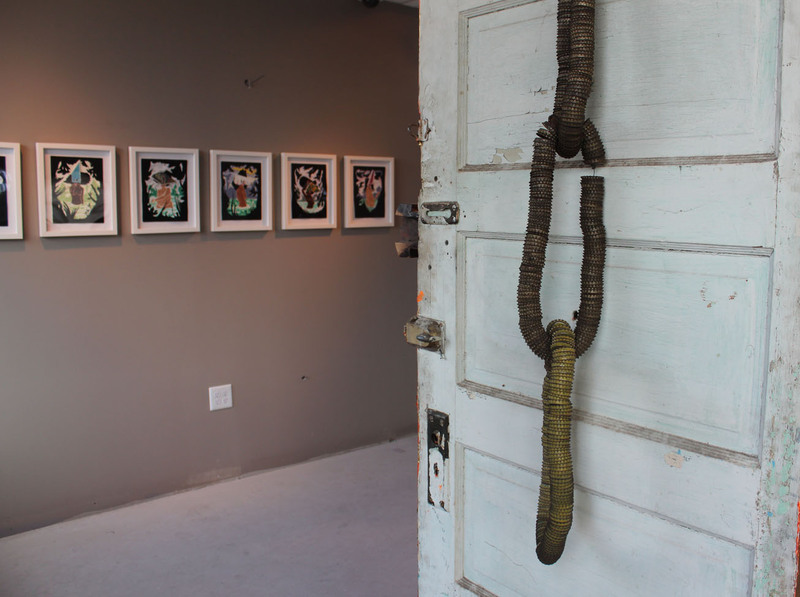 Detail of “Fourth Ward,” 2013 (wooden door with gold leaf (on the reverse side), bottle caps and wood base) by Radcliffe Bailey. The title refers to the Fourth Ward of Houston, a historic African American community also called Freedmen’s Town that was once a thriving black cultural and professional hub similar to Sugar Hill. In the background, a series of seven nymph images executed in 2012 with acrylic and velvet flocking on paper by William Villalongo. 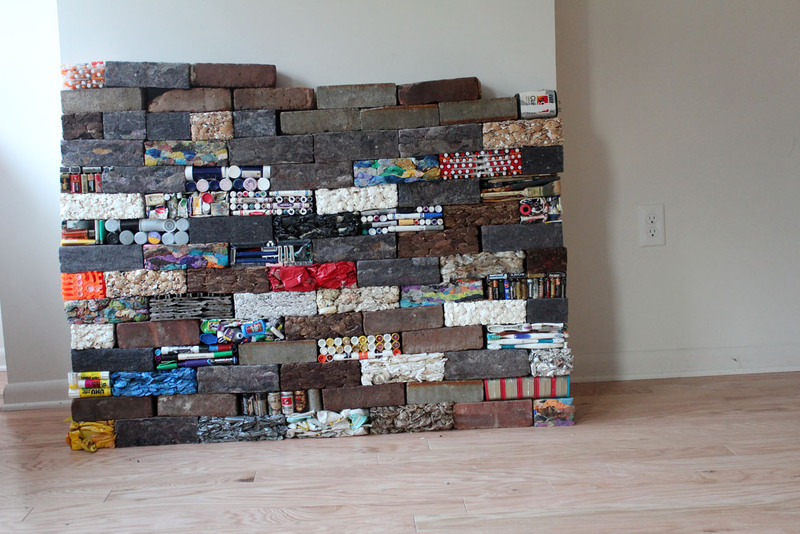 “Sugar Hill Tapestry,” 2014 (mixed media) by Elan. 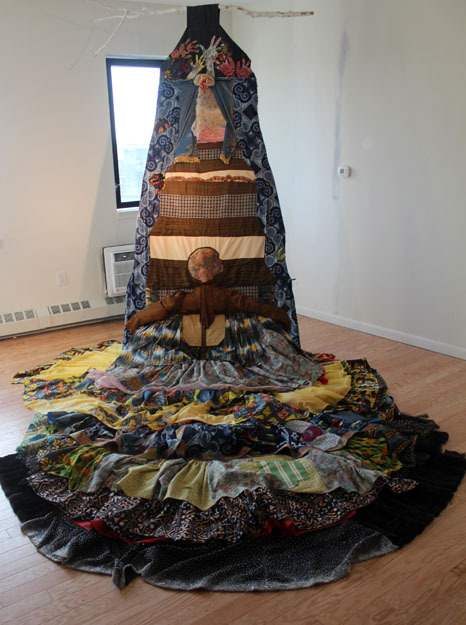 The quilt-like work is constructed using materials donated by Sugar Hill residents. 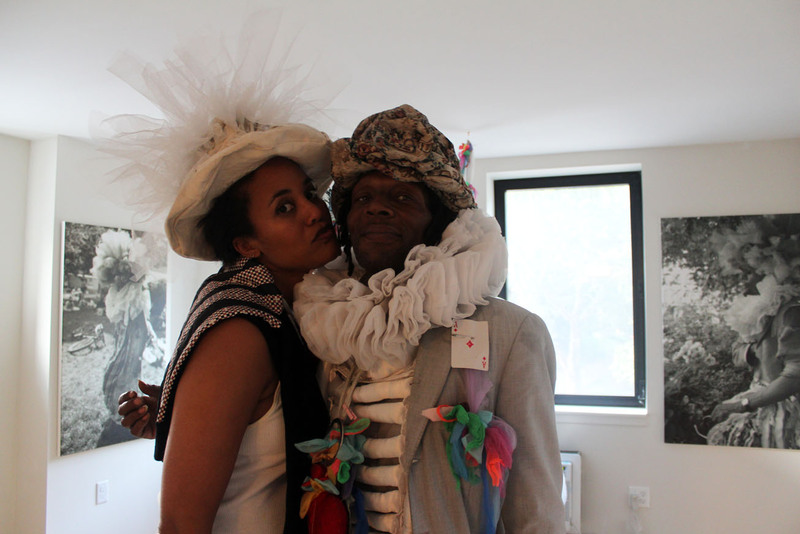 From left, Felicia Gordon of Sugar Hill Culture Club and fashion designer and street artist Wendell Headley wearing his own designs. 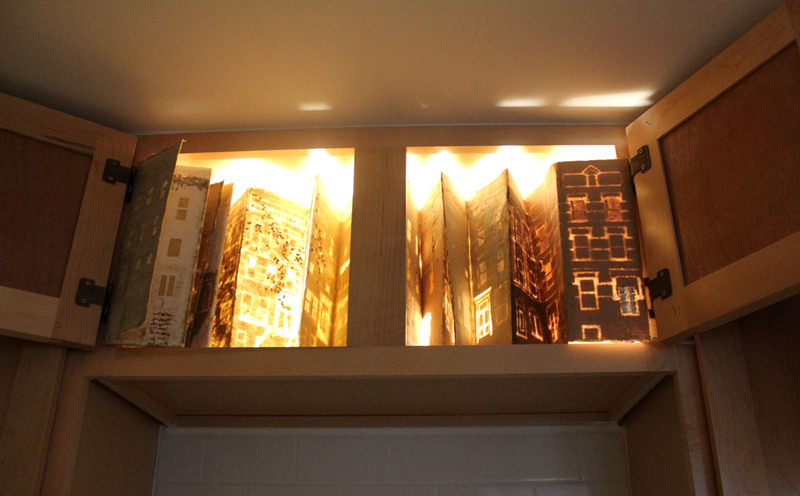 The club’s NY, Naturally exhibition is installed in one of the apartments. 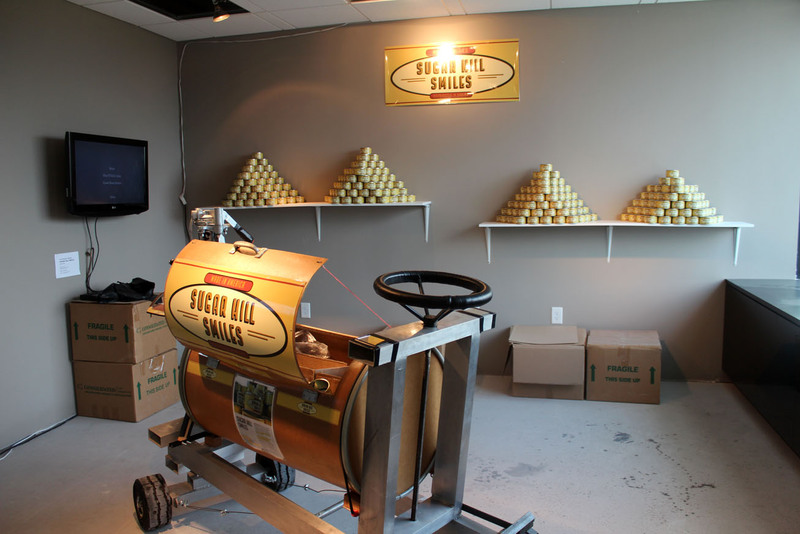 Installation view of “Sugar Hill Smiles,” 2014 (tin cans, labels, mirrored stainless steel discs, smiles, with video documenation) by Nari Ward. A performance art project, Ward wheeled the cart shown above around Sugar Hill and invited people he encountered to smile into 2,000 cans. The smiles were sealed in the containers, symbolizing the branding of Harlem by businesses increasingly interested in capitalizing on Harlem’s renewed coolness without having any real interest in being a part of the neighborhood or benefitting the community. 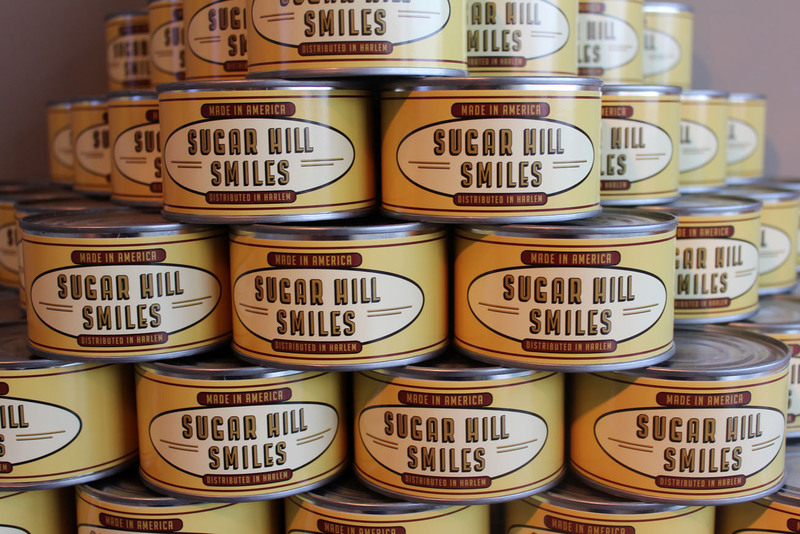 Detail of a stack of sealed Sugar Hill Smiles cans. 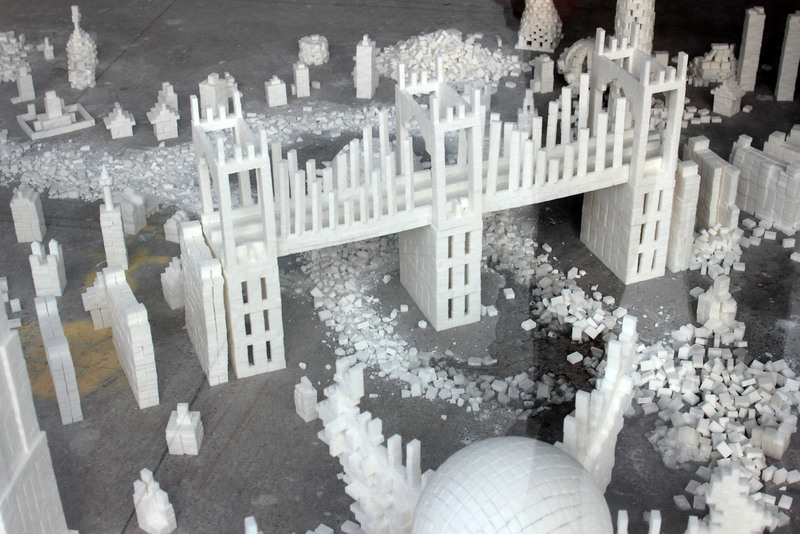 Architectural models constructed using sugar cubes are on display in the street-facing window of the space that will house the Sugar Hill Children’s Museum of Art & Storytelling.